MOUNTAIN VILLAGE, COLO. (March 13, 2019) – When Adam Miller and his wife Nancy bought a plot of deed-restricted land in Mountain Village’s the Boulders, they knew it would take some time before they would be able to build on it. Working in the construction sector, Miller is all too familiar with the building and permitting process, both of which are costly. They had begun drafting up plans in 2014 but weren’t able to move forward until this year. Last fall the Town of Mountain Village announced it would begin waiving both development and building permit fees for all deed-restricted construction projects starting in 2019, dreams of their own home became more attainable. They expect to begin building this spring. Last October the Town of Mountain Village Town Council unanimously voted to waive all planning, development and building permit fees for deed-restricted housing units effective Jan. 1, 2019. Deed-restricted workforce housing gives local workers and their families the ability to rent and own homes at below-market rates. By waiving town fees, the town sought to encourage owners of deed-restricted units to maintain existing units and offer greater financial incentive to construct deed-restricted units on remaining deed-restricted properties. “The town is actively working to construct additional workforce housing and we’re looking forward to an additional 49-units coming online with the upcoming VCA expansion. Despite this investment, we are acutely aware of the need for more affordable housing and wanted to do whatever we could to support the generation of more affordable workforce housing construction,” said Mountain Village Mayor Laila Benitez. 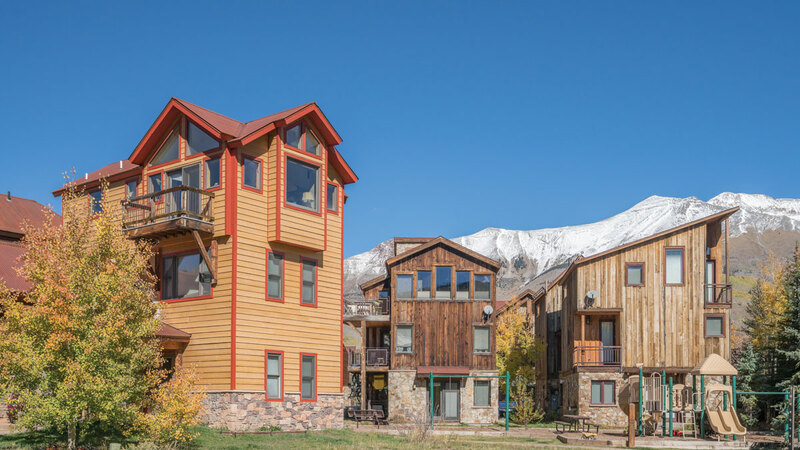 “There are still quite a few deed-restricted lots available in Mountain Village. If waiving building and planning fees allows us to provide a home for even one additional family then I will be thrilled with the outcome of this program,” Benitez added. The Town of Mountain Village has 539 built units dedicated to both deed-restricted and workforce housing which consists of roughly 47 percent of San Miguel County’s affordable housing inventory. For program information, please email our planning department or call 970.369.8242. 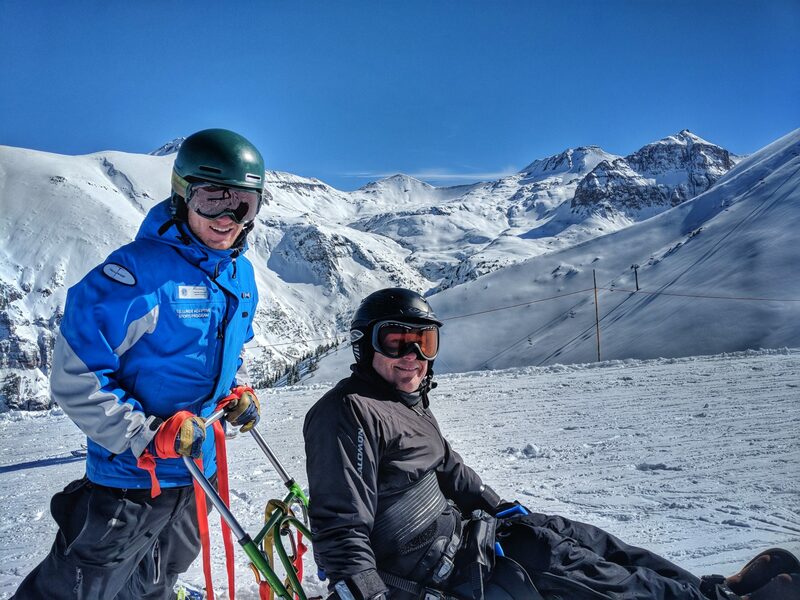 On Friday, March 8, 2019 the Telluride Adaptive Sports Program will host its 23rd annual spring fundraiser — The Blue Party. 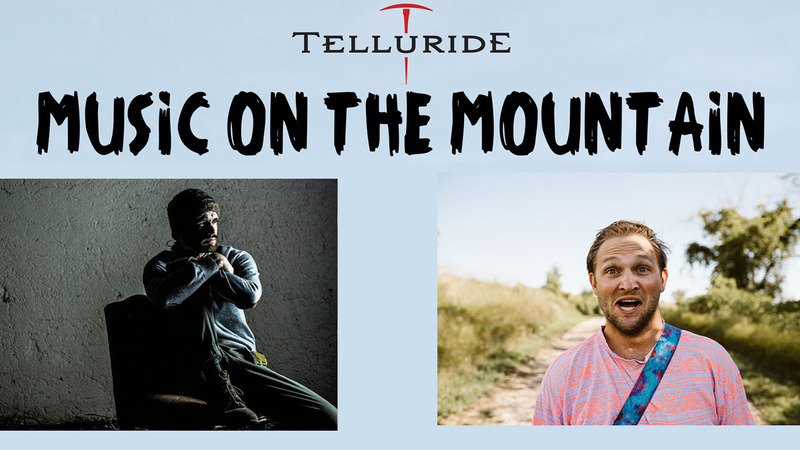 This event takes place at the Telluride Conference Center in Mountain Village from 6-10 p.m. The ticket price of $65 ($70 at the door) includes a glass of award-winning Emeritus Pinot Noir, a selection of hearty hors d’oeuvres from Telluride’s top restaurants including: The Village Table, Rustico & La Piazza, Wine Geek Food Freak, Siam’s Talay Grille, Telluride Truffle, The Butcher & The Baker, There Bar, Black Iron Kitchen + Bar, Wood Ear Whiskey Lounge & Noodle Bar and more, along with a night filled with dancing to the fabulous Anders Brothers Band. There will also be a silent auction featuring many one-of-a-kind items and fabulous getaway vacations. In honor of the amazing volunteers, instructors, veterans, and athletes, TASP is throwing a “Blue Tie” event; dress up in your best blues, just as TASP instructors wear their best blues on the slopes. The funds we raise at this annual event provide quality adaptive winter & summer programs for low-income participants, many of whom live in the Telluride region. Last year, with the funds raised, we provided more than 3,000 lessons to over 500 students with disabilities. To purchase tickets in advance, visit TASP’s website. With warmer day time temperatures, more sunshine in the day, and spring just around the corner, there is a bevy of fun, live music happening both on the mountain and in Mountain Village through the month of March! Feb. 26-March 10, be sure to catch B Forrest, a Chicago-bred singer/songwriter blending folk, blues and soul at both Gorrono Ranch and Tomboy Tavern. B Forrest will play the following dates at Gorronno Ranch: Feb. 26, 28, March 1, 5 & 7 and Tomboy Tavern on March 2, 3 9 & 10. Cousin Curtiss plays live at Gorrono March 2, 3, 6, 9, 10, 14, 16, 17, 20, 23, 24, 27, 30 and March 31 from noon to 4 p.m.
Sean DeLand: March 4, 6, 8 & 9. 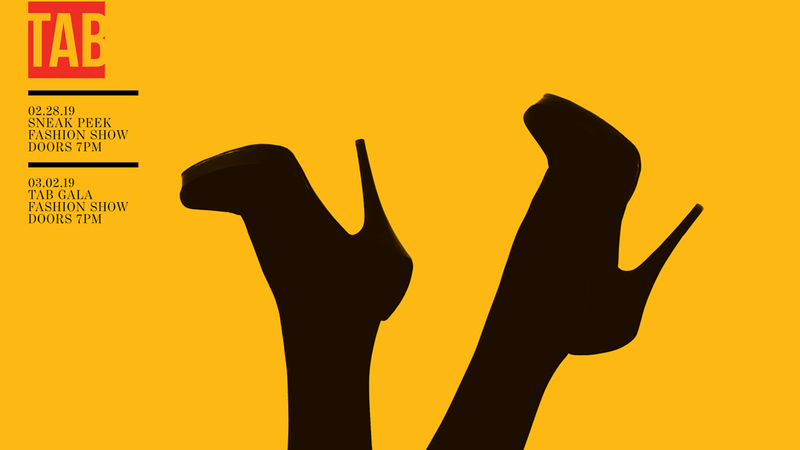 The Telluride AIDS Benefit (TAB) presents its annual fashion shows, the TAB XXVI ‘Sneak Peek’ Fashion Show on Thursday, February 28 and The TAB XXVI Gala Fashion Show on March 2, 2019, both at 8:00 p.m. at the Telluride Conference Center in Mountain Village. Featuring local models and international designer fashions, TAB fashion show productions are best described as New York Fashion Week meets Cirque de Soleil. Funds raised through ticket sales and auction packages support HIV and AIDS education, advocacy and clinical care in Colorado and Africa. The Telluride AIDS Benefit fights HIV and AIDS by raising awareness and generating financial support for prevention programs and client care through its six beneficiaries in Colorado and Africa. TAB aims to keep AIDS relevant in every generation and to cultivate a healthy and stigma­‐free society. The Telluride AIDS Benefit is a non­‐profit organization dedicated to fighting HIV and AIDS until the goal of zero new infections in the state of Colorado, across the country and then the world is achieved. Visit their website for more information about this wonderful cause. For the last 18 years, Telluride Gay Ski Week (TGSW) has been a winter highlight for both visitors and locals. This year plans to be no different. The week of excitement will run from February 23 – March 2, 2019. 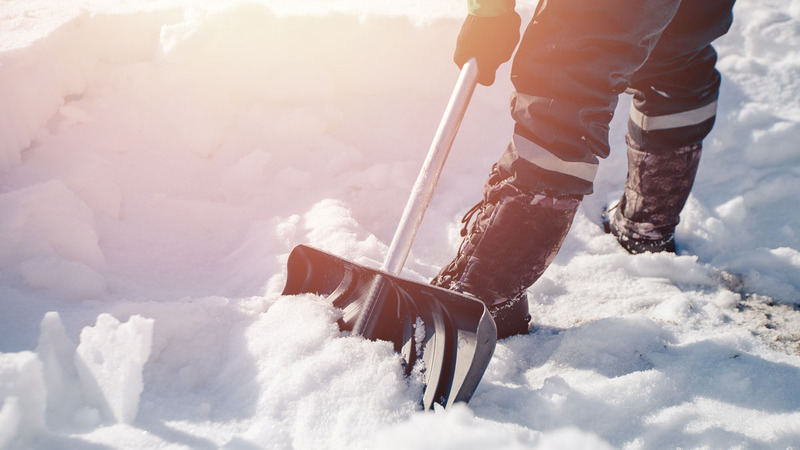 Visitors and locals have the opportunity to engage in a wide range of activities around town including daily skiing and snowboarding meet and greets, après ski and nightly dance parties at the Liberty Bar and Lounge. In addition to the daily activities, TGSW is packed with featured events. Participants can dance the night away at the Opening Night Cocktail Party, sing their hearts out at Karaoke, pamper themselves during the pool and spa day, get their glam on at the drag shows (and drag bingo), and much more. 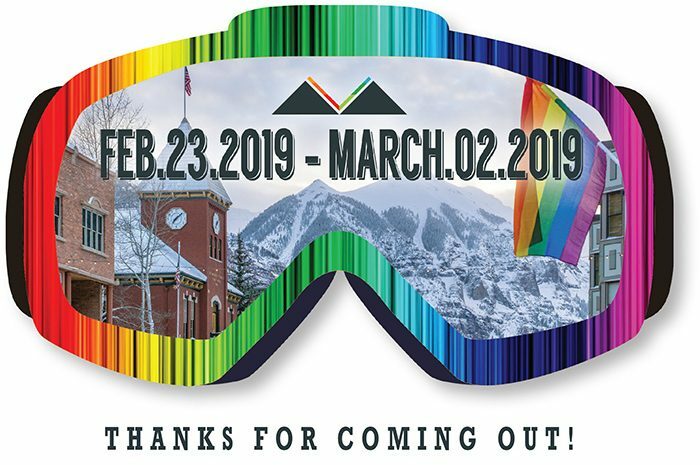 Telluride Gay Ski Week gives visitors the opportunity to explore the quaint streets of Telluride and plazas of Mountain Village, and sample the great food both towns have to offer. TGSW continues to partner with local businesses and hotels to bring visitors exclusive rates on lodging, gear rentals and lift tickets. Telluride Gay Ski Week was founded in 2002, and has been under the leadership of Rosie Cusack since 2016. Below are some Town Council highlights from our January meeting and some upcoming topics for this week’s meeting. As always, I hope you can join us for tomorrow’s meeting or consider sharing your feedback with us about any of these matters. Town Council considered a proposed ordinance amending the Community Development Code (CDC), which would have allowed future applicants to propose subdivisions, rezoning, and density transfers on eight specific Single-Family lots in the Village Center Subarea, as envisioned in the Comprehensive Plan. But after significant discussion, we agreed that additional outreach and exploration was needed to better understand how the area has evolved since the Comprehensive Plan was approved. The Bauen Group presented conceptual architectural plans and a rough order of magnitude cost estimate for the Village Court Apartments (VCA) expansion project. Preliminary plans call for breaking ground on the affordable housing project later this year with funding through a revenue loan, paid for by the collected VCA rents and dedicated funding from the Mountain Village Affordable Housing Fund. Project plans and specific funding mechanisms are still being finalized, but we anticipate this expansion will provide up to 42 two-bedroom and seven one-bedroom apartments. Town Council voted to reinstate and extend until February 28, 2019, the term sheet concerning the settlement of the 161CR and Ridge at Telluride litigation and authorized me to execute any agreement. The term sheet is the result of months of direct negotiations between principal designated representatives from Lot 161CR, The Ridge HOA, The Ridge Club, some of The Ridge owners, and the town. Last month Town Council considered whether to begin negotiations with a new provider to become the town’s primary supplier of broadband services, which are currently provided by Century Link. Based on the service issues we have been facing, the town has decided to move forward with a request for proposals (RFP) for a new broadband provider. We look forward to an updated plan of action and service provider solution which addresses our need for redundant service, increased bandwidth, and improved reliability later this spring. Finally, we received updates from Bill Jensen with Telluride Ski and Golf, the Gondola Subcommittee, the Telluride Regional Airport Association, and the Green Team. The town is excited to welcome another new business, Sunshine Pharmacy, to the Mountain Village Center. Sunshine Pharmacy will be opening a second location in the Franz Klammer Building across from the Telluride Distilling Company’s new Tasting Room. In addition to prescription pick-up service, health and wellness products, and other sundry items, Sunshine Pharmacy has also applied for a liquor license to sell beer at their Mountain Village location. Town Council will consider their Fermented Malt Beverage Liquor License application tomorrow. Town Council will discuss the continued use of lot OSP39 (commonly known as the wood lot) for tree removal staging. Since 2015, the town has informally allowed large private and forest-health property tree removal projects to drop-off chopped wood on the lot, where it can be picked up for use by residents. In the past, chopped wood was stacked at individual job sites, and people looking for firewood drove throughout the village looking for wood piles. Besides the reduction in the number of vehicles driving through Mountain Village neighborhoods looking for wood, the other major benefit of the wood lot is cost savings for new home building and defensible space tree removal projects. We will consider the formation of a Vending Cart Committee for future vendor selection. Currently, vendor selection is at the sole discretion of the town’s business development and community engagement coordinator. Given the increased interest in new vending cart businesses in the Village Center, the creation of a vending committee would allow more opportunity for public comment, multiple viewpoints, and transparency in vendor selection. 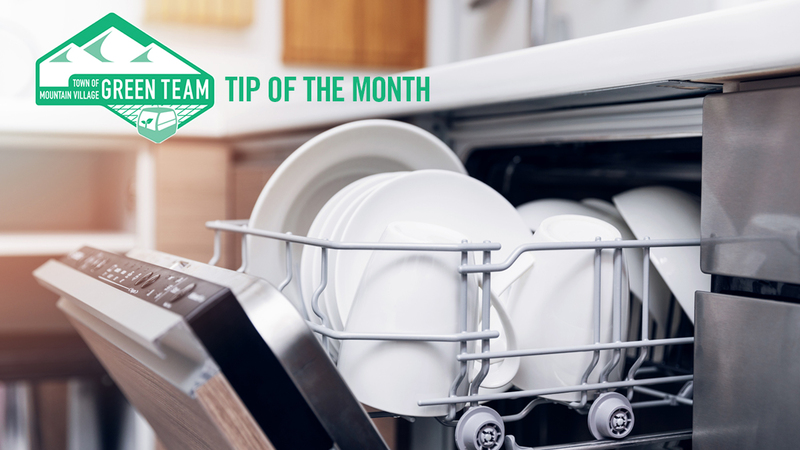 Recommended committee members would include members from TMVOA, Town Council, and representatives from the departments of Planning and Development, Plaza Services, and Community Engagement. Lastly, Michael Martelon will provide Marketing Telluride’s (MTI) quarterly update. A full agenda and our meeting packet have been posted on our website; we welcome your input and hope to see you at the meeting. The Town of Mountain Village is now accepting applications for vending carts for the 2019 summer season. Local and regional chefs, foodies and entrepreneurs are invited to apply by April 1, 2019 to be considered for vending spaces in Heritage Plaza and Sunset Plaza in Village Center. “With plans in the works for a new bike park and increased vitality in the Village Center from both residents and visitors alike, we are expecting a fun and busy summer season in Mountain Village,” said Zoe Dohnal, business development and community engagement coordinator for the Town of Mountain Village. For minimum operating hour requirements, more information and to apply to be a vendor, please visit townofmountainvillage.com/vending-carts. For questions regarding summer vending specifics please reach out to Dohnal at (970) 369.8236 or [email protected]. After a successful first year, the Town of Mountain Village is pleased to announce an expanded Farm to Community Program for summer 2019. The program will offer up to 60 qualified Mountain Village families a food share box of locally farmed produce and food items for 14-weeks at a minimal cost. 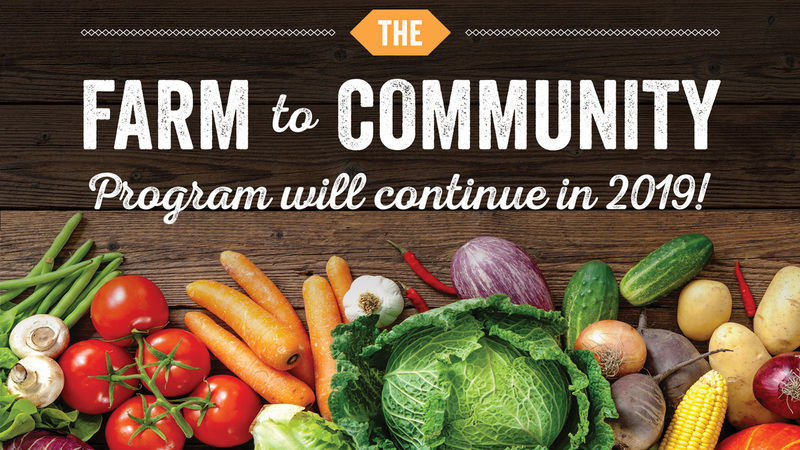 The Farm to Community Program was launched in summer of 2018 and initially offered 48 families and 60 residents more than 4,500 pounds of fresh, local food to residents over the course of nine weeks for just a $35 application fee. In 2019, the Mountain Village Town Council voted to increase funding for the program which can now accommodate 60 families and up to 100 people. The program will also run five weeks longer this summer. “Qualifications are no longer strictly based on income, and for the 2019 season, families (comprised of at least one parent and one or more dependents) who live in deed-restricted housing are invited to apply,” said Zoe Dohnal, the town’s business development and community engagement coordinator. Mountain Village residents who live in deed-restricted housing are invited to review qualification requirements and to apply for the program. “We are really excited about the continued enthusiasm and regional support for this program,” said Michelle Haynes, Mountain Village’s planning and development services director. “The enthusiasm extends from participants, town staff, farm partners, regional groups and organizations up to the Town Council and local visitors who see a greater local food presence at our Market on the Plaza,” Haynes continued. Mountain Village is partnering once again with Norwood’s Fresh Food Hub as well as Mountain Roots Produce based in Mancos to supply the shares. Indian Ridge is one of the Fresh Food Hub’s suppliers and will provide eggs to the shares this year. The Fresh Food Hub will have shares available for pick up at this summer’s Market on the Plaza (each Wednesday in Heritage Plaza June 19-Aug. 28). And Mountain Roots will set up at Village Court Apartments in the afternoons each Wednesday allowing participants to choose their farm share vegetables. For residents who do not qualify for the Farm to Community Program, the Fresh Food Hub is also offering to deliver farm shares for pick up at the Market on the Plaza for $35 per box. The Farm to Community program was first proposed by Haynes and brought to the Town’s Green Team Committee. The Green Team is dedicated to town-wide conservation measures and was unanimously in favor of this program because it supports local agriculture and reduces the distance food is transported to the community. The Green Team then presented it to Town Council as a climate action plan measure and Council initially voted to approve program funding in April of 2018. “I want to thank Michelle Haynes, Zoe Dohnal, and the Green Team for the countless hours and relentless dedication they have invested into making this program available to our community,” Benitez said. For more information and to apply, please visit townofmountainvillage.com/farm-to-community.